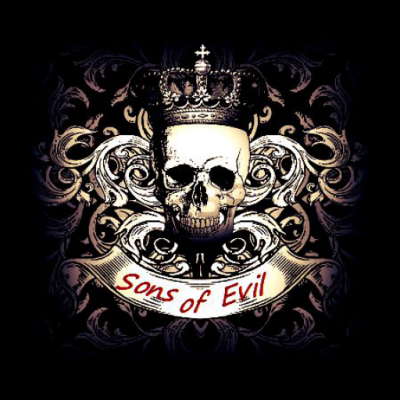 SONS OF EVIL MC. is a motorcycle club and a non-profit organization for bikers, enthusiasts and their friends. Our motto ... "If we die before we wake, we pray to the lord and accept our fate. " We stand for truth, honesty, and dedication. We are a band of brothers and sisters, riding in freedom and in respect. To wear our patch, isn't just a logo, a design, but a representation of who we are on the inside, and a symbol of what we can become. We are a common creed that band together as family. It is an MC patch to wear with pride, with an organizational struture that ensures equality. While we respect the land, the tracks we ride, we also respect other MC's across SL - they are our brothers and sisters too. Sons of Evil, isn't just antoher Motorcyle Club, but a dedicated group of bikers, and their friends, to ban together and live and ride in pride. Interested in sponsoring one of our formal recruiting events or parties? Want to gain exposure for your product or service. We are seeking sponsors to aid us in our recruiting events. Contact Outlaw if interested. We really appreciate your support. Congratulations are in order as Romance is in the air @ Sons of Evil MC. Announcing the engagement and formal union of Outlaw (outlaw.dexler) and Gypsy Dexler (rexsoulbraker) in an upcoming event. IM Outlaw.dexler for invitation and rsvp a piece of cake. For more information contatct OUTLAW (outlaw.dexter) in world or visit our SIM.